Michaella McCollum Connolly was last seen in San Antonio, Ibiza where she was working for the summer. AN IRISH WOMAN in her early 20s has gone missing in Ibiza. Michaella McCollum Connolly, also known as Kayla, was last seen around 12 days ago. The Department of Foreign Affairs told TheJournal.ie that they were “aware of the case” and “have been in contact with her family”. From north Belfast, Michaella had been studying photography at Belfast Metropolitan College. She also worked in promotions, modelling and as a dancer and nightclub hostess. She traveled to the popular tourist spot San Antonio, Ibiza in June to work for the summer. Michaella’s sister Samantha has a launched a Facebook campaign for her safe return. She wrote that Michaella’s “phone is off and her Facebook page has had no activity”. She said that this was out of character for the dancer as she would be in contact with home every two to three days. Samantha added that there were reports of her sister in Bercelona and Madrid but they “may or may not be true” and added the “proper authorities” have been notified about her disappearance. Michaella comes from a very close and loving family and we are all extremely worried and concerned that she hasn’t been in contact and that we cannot contact her. Samantha, Michaella’s sister posted this message on her Facebook. Email “Fears grow for missing Belfast woman last seen 12 days ago in Ibiza”. 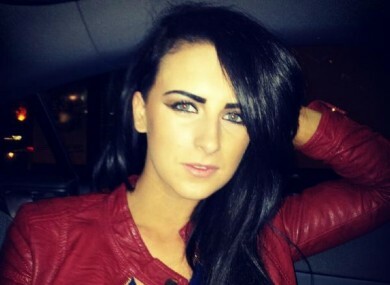 Feedback on “Fears grow for missing Belfast woman last seen 12 days ago in Ibiza”.